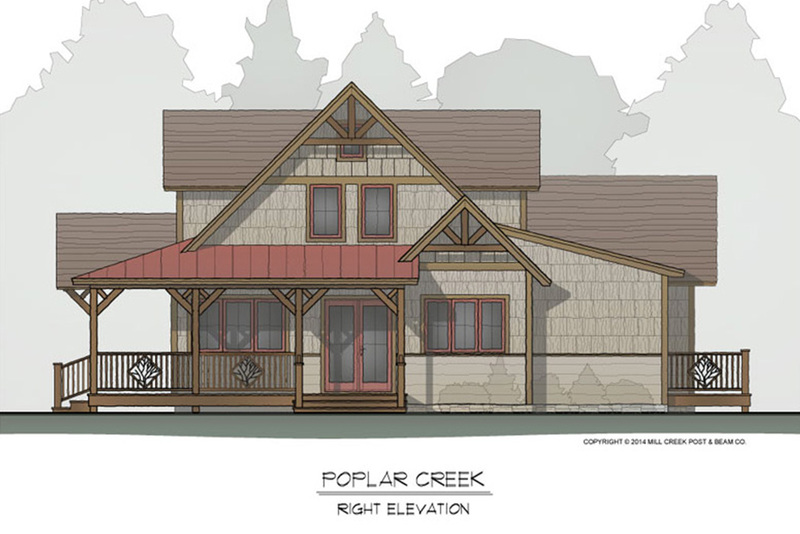 A cottage for the woodlands or mountains, the rustic detailed exterior welcomes you to leave your boots at the door. 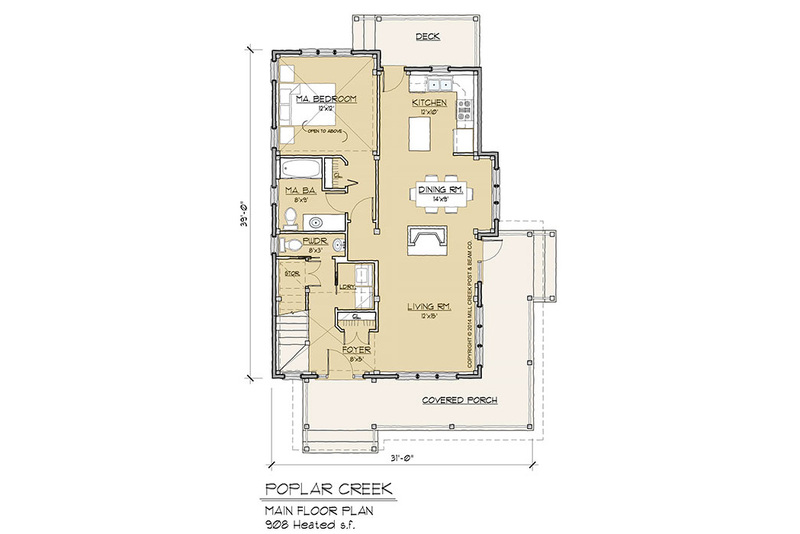 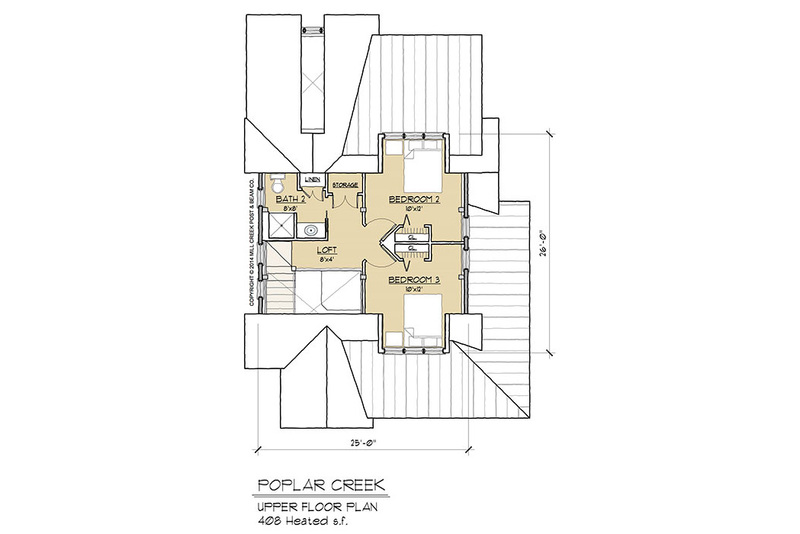 With the master bedroom on the main floor and two bedrooms on the upper level, the Poplar Creek is suited for hospitality. 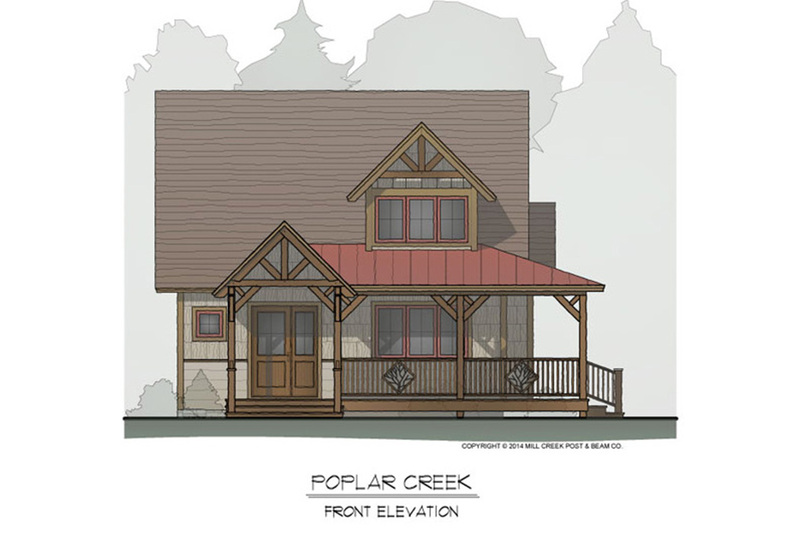 Make your memories beneath warm timber–when you aren’t making them beneath the sky.